Logic vs emotion. It’s a tough battle to decide when both sides have so much to offer. 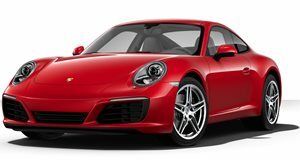 The Porsche 911 can be a bit of a confusing car to the casual enthusiast who has never considered themselves a fan of the brand. In classic German tradition, the 911 line is inflated with so many variants that it’s easy to get mixed up, forcing one to overestimate the performance of a Porsche like the 911 Carrera and underestimate that of a 911 Turbo S. And now that Porsche has appeased us manual-lovers with a three pedal version, the range becomes even more complex. Thankfully there are YouTubers like Nick Murray out there to help answer all of our questions. Continuing his Porsche comparison series, which began with a test of a rear-wheel drive 911 and an all-wheel drive version, Murray has gotten ahold of two of the rear-engine sports cars, one with a manual and another a PDK transmission, to outline the differences. Barring the badges and exhaust pipes, the cars look identical from the outside. However, the hardware couldn’t be more dissimilar. Porsche’s PDK transmission is a marvel of modern engineering, housing the capacity to change gears so quickly that it’s almost imperceptible and combining that with software so thoroughly refined that it makes the gearbox seem telepathic. However much more quick and painless PDK makes the 911, it’s missing the level of driver engagement that manual brings. To anyone with logic, the PDK is a no-brainer, but love is rarely a logical game, as proven by anyone who spends Porsche money on what is essentially a highly refined transportation pod for two.